Image by khunaspix from Free Digital Photos. Being on the road all the time can be a big drawcard for the consulting life. It’s hard not to get swept up in the Willy Loman-esque romance of the road, a new city every night, exploring the world while doing a job you love. But the reality can be much more mundane - endless hours spent at airports and in whitewashed hotel rooms, late nights and early starts, and giving the same presentation so many times over you feel your face is melting off from all the smiling. After you get over the initial thrill of being paid to go all over the country/world, the reality of constant travel will wear you down. It can be easy to get stuck into a rut of resentment about your constantly moving lifestyle. Before you arrive in a city, ask for recommendations from friends, colleagues or social media networks for the best restaurants or attractions. Go somewhere unusual, like a strange museum or alleyway art gallery. See a show or a local comedy act. Ask your boss if you can use an AirBNB instead of a hotel. Use your lunch break to wander around the local park or wilderness area. Take the time to enjoy natural surroundings. Got hobbies or interests? Check out local meetups and interest groups in the new city. I love to visit local astronomy societies or music shops when I travel. If you spend a lot of time travelling (especially if it’s in the same areas), you’re going to start to see familiar faces. From the flight crew on the plane to the reception staff at the hotel, you’ll notice the same people over and over again. And they have long memories. Things go wrong when you’re travelling, and jet lag and delays can make you cranky. But it’s no one’s fault, so don’t take your bad mood out on the staff who serve you. Remember, it’s the nice people who get free upgrades and an extra glass of wine, and the grumpy ones who end up with the stained sheets and seats by screaming children. As a person who spends a lot of time working in different locations, I cannot comment enough on what a godsend the cloud has been. No more emailing files to myself, or arriving somewhere only to discover I’d forgotten a document I needed. No more issues with version control. Just working simple. What can you do in the cloud? Everything. I love Google Drive for documents and spreadsheets, Trello for collaborative projects, and - of course - WorkflowMax for managing projects. If you’re off on a new job or heading to a new event, it pays to ask about the dress code before you pack your bags and head for the airport. Some of your clients are going to have different work environments to yours - for example, my office (when I’m in the office), is pretty casual, but I’d feel awfully out of place if I dressed for that environment and ended up somewhere corporate. Also, you never know what your colleagues in each city might want to do after work - drinks at a hot club, or a swanky restaurant for dinner? You need to be prepared. One of my biggest travel mistakes is constantly leaving my toothbrush at home or forgetting to pack shampoo. Solve the issue of packing up your toiletries the morning before you leave for your trip by keeping a separate toiletries bag in your travel luggage, all stocked with your favourite brands. Granted, travelling with carry-on only is a bit harder now that many airlines won’t let you take on liquids. But if you can get away with it, pack everything you need into one small bag and carry it on the plane. You’ll save yourself a ton of hassle checking in and out, and you’ll always be the first one to the taxi stand. I travel pretty light and am always amazed at how much easier it is. I know it can seem like a hassle to sign up to all those points programmes and keep track of your numbers. But don’t leave a travel perk sitting on the table - those points are worth real money. Sometimes a lot of money. Even if you don’t plan on collecting rewards, it still pays to be a member. For one thing, frequent flyers get less spot security checks and will be the first people approached about potential upgrades. Plus, Frequent Flyer lounges with free wifi and wine on tap are the BEST. Airlines know you travel a lot so they will ensure you’re looked after. Use an app like AwardWallet to track your points and get the most out of your rewards. Always wear your game face and be prepared to ask for a better deal. You never know when you might get lucky. For example, if you head to the rental car counter to pick up your vehicle, ask if they have any upgrades available. When they let you know the price, see if you can negotiate something lower. You could end up with a premium vehicle for a bargain, and that will definitely help to ease the burden of constant travel! 9. Charge everything before you travel. I hate being in airports as much as the next person. And the one thing that makes my airport experiences even more irksome is if I have a long list of tasks I need to perform while there, such as charging my gear for the plane ride or a meeting on the other end. I don’t want to be hanging around the charging station like my life depended on it, trying to squeeze out every last second of juice before I have to board. Personally, I just find it less stressful if the only thing I need to worry about at the airport is where to find my gate. What if you arrive and the charging station is broken, or all the stations are in use? Charge everything you need at home, where you don’t have to share ports with 200 other desperate people. Jetlag is the cross that all travelling consultants must bear. But what you eat and when you eat it could have a dramatic impact on how much you suffer. On the day you travel and for a day or two afterward, eat healthy foods rich in vegetables, such as salads. This will give you plenty of slow-release energy throughout your trip, which will help combat the impact of tiredness. Avoid sugary foods that give you insulins highs and dips. Try to stay away from alcohol and caffeine at the airport and on the plane. It can be tempting if you’ve got hours to kill to pop into a bar or get a never-ending cup at the airport cafe. Both alcohol and coffee will make you tired at the other end of your trip, so ditch them and opt for water instead! Research actually suggests that the way to beat jet lag is to avoid eating on the plane altogether, and then as soon as you land, eat the meal that you’d expect to eat at the local time of day. This resets your body’s clock and helps you to beat jet lag much faster. While I like this approach in theory, I find it hard to say no when a plate of piping hot food and little packages of cheesecake come rolling around. As a travelling consultant, you’re going to be out on the road a lot. Don’t let the travel be the thing that wears you down. With some clever management of your time and resources, your travel can be an enjoyable experience. 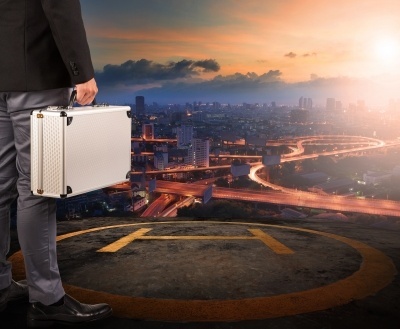 Do you spend a lot of time travelling for business? What are your top tips to share?